Hologic, Inc. is an innovative medical technology company primarily focused on improving women’s health and well-being through early detection and treatment. For more information on Hologic, visit www.hologic.com. Hologic is a trademark and/or registered trademark of Hologic, Inc. and/or its subsidiaries in the United States and/or other countries. Diagnostic imaging is critical to the management of patients and diagnosis of disease throughout the world. These tests rely on a wide variety of equipment used to visualize the human body and identity disease. Imaging equipment is used to diagnose anything from a broken bone to occurrence and re-occurrence of cancer. Understanding what influences user satisfaction with the equipment itself, equipment service and equipment manufacturers is key to insuring that these tests are performed in a timely manner on accurate and reliable equipment. 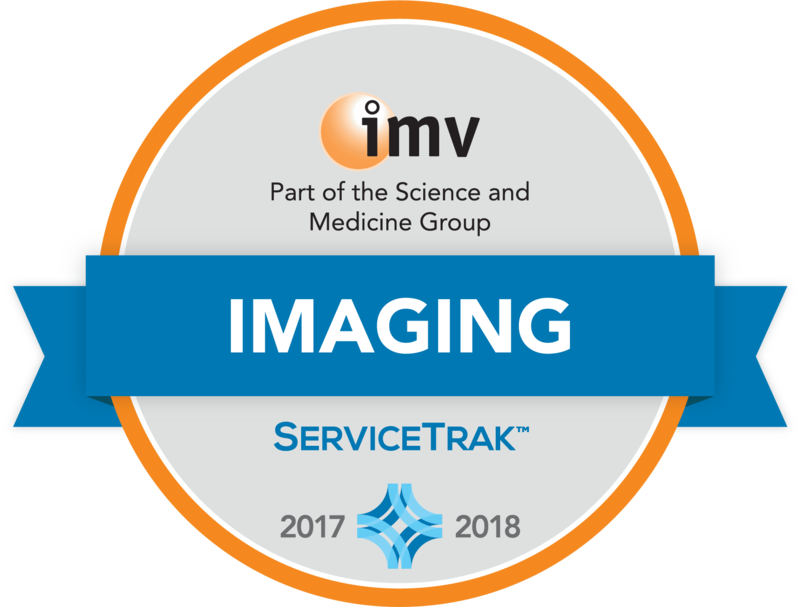 IMV produces an annual series of proprietary ServiceTrak™ Diagnostic Imaging reports derived from extensive phone interviews with diagnostic imaging professionals in hospitals in the U.S. These reports present an independent analysis of service trends in diagnostic imaging and include manufacturer ratings for each imaging modality. Diagnostic imaging professionals are asked to rate their level of satisfaction with the equipment manufacturers, the system performance and the service received for their imaging equipment. Satisfaction ratings are collected on a 10-point scale, where 10 = “excellent” and 1 = “very poor”. Report analysis is based on the percentage of highly satisfied (%HS) responses which are represented by satisfaction ratings of a 9 or 10 on this scale. The ServiceTrak™ Diagnostic Imaging awards are presented to the manufacturer with the highest percent highly satisfied (%HS) in each of three categories, representing the industry BEST OF: Customer Satisfaction, System Performance and Service. The BEST OF Customer Satisfaction award is given to the manufacturer who has the highest %HS responses when respondents are asked to rate the likelihood they will purchase again from their current manufacturer. The BEST OF System Satisfaction award is given to the manufacturer whose customer have the highest %HS responses when asked to rate their overall system performance. The BEST OF Service award is given to the manufacturer whose customers give the highest %HS responses when asked to rate overall OEM service performance. The 2018 ServiceTrak™ Diagnostic Imaging awards are based on interviews conducted in 2017 and 2018 with respondents in 2,739 diagnostic imaging locations having 6,183 scanners.